From this perspective, it is necessary to pay due attention to the right humidity in the living space. Water, the absolute necessity for human life, it occurs in various forms. 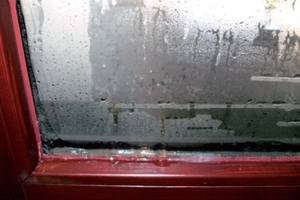 The most dangerous for the Windows is in the form of water vapour, since we don't see it immediately, but only after condensation. Just water vapor and condensate can cause considerable damage. The moisture content, which is located in the residential premises, or from the use of technology can be. Technology is that there is a still from the time of the House construction of wet processes. It's water from the concrete, plasters, spawn, etc. This is most common during the first year of construction released, but the quantity is enormous, because it is in the construction phase to ensure intense ventilation. Moisture from the use of the moisture in the accommodation consists of a continuously, while the sources of moisture is cooking, washing, drying, washing, showering, an aquarium, a person during sleep, houseplants. This moisture must be paid to proper and constant attention as well. The most common consequence of excessive moisture is the formation of mold. What happens after you replace Windows? The greatest attention must be paid to the seeding of new Windows in new buildings or replacing old Windows for new Windows during the first year. In particular, the exchange of old Windows with new ones, completely changing the climate of the entire living space. Temperature and humidity parameters have changed the living environment. Therefore, you need to get used to the fact, and what was the old saying Windows (ventilation of the chink) now becomes the responsibility of the user. If replacing the old Windows also connected with reconstruction of living space, respectively, for the construction of the mount another major source of moisture-humidity technology building. When the exchange is necessary to fix the "lining" window (plaster of scuntion), which is a wet process, which brings with it the humidity. This technology we get rid of moisture during the first year. Therefore, after the replacement of Windows, pay special attention to ventilation. 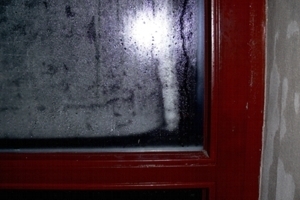 The formation of condensate on the sklách or in the vicinity of the window is a symptom of errors (most commonly elevated Interior humidity) and the need to immediately determine the cause of the formation of condensate and then delete. It is absolutely one of the base used in the manufacture of window balance goes, whether it be wood, plastic or aluminum. From these materials, wood is the only active material, which in practice means that it is to some extent able to eliminate moisture in the interior. The wood is able to accept and transmit humidity into the surrounding environment, it is a material that is able to breathe. After overcoming a certain boundaries, or wood with an excess of humidity is able to tackle. That just mentioned should be as small as possible the effects of humidity on wooden Windows, considerable attention in the development of varnish on the surface treatment of the window is dedicated to this issue. 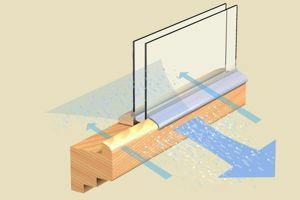 Water protection is deemed to be from the outside, where the window is exposed to the weather. 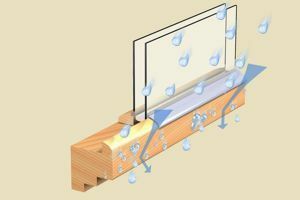 In the rainy season, which is exposed to running water in the window must finish to resist. For the standard scumble and prolonged exposure to water on the surfaces are lighter, what signalizes the saturation of scumble with water. Of course, this is a weak point, that is, at that moment the lack of surface treatment. The film of scumble generation 3 formed s.c. netting, in order to reach an integrated surface resistant to flowing water. On the pic. 6. to see different between a scumble and the scumble ADLER Generation 3. From the perspective of the history of the systems have gone from dissolvent to diluent of the water, just from the perspective of the benefits the diluent of the water is better system (permeability of the water vapour). Don´t warm up the air that contains high humidity (over 60%). Rather, because of the cold and moist air from the exterior ventilate when heated to 20 ° C becomes dry, which consumes several times less heat than to keep moist air at a temperature of 20 ° (C) shall be brought. Ventilate at least morning and evening, a room with high humidity or high humidity (bathrooms, kitchens) permanent production of additional device controlled by moisture. ventilate. In these areas should be given special attention to ventilation! Already a light wind (about 5 km/h) the exchange of air per hour shall be doubled. Speedy ventilation can be carried out by a transversal ventilation through several rooms (draughts). The rooms with open fire must be ventilated, as well kitchen with the gas cooker, because increased content of hazardous combustion gases-sulphur oxides (recommended ventilation fume hood), the air can go through the slit. 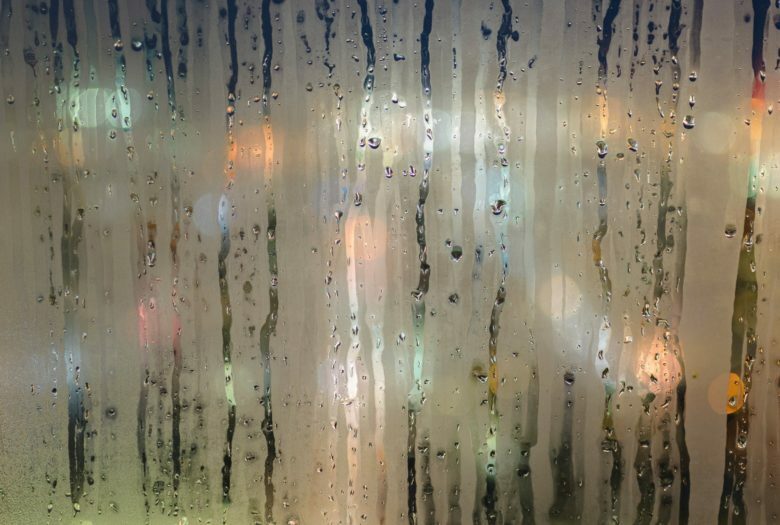 When non-compliance with these principles will be subjected to extreme stress due to moisture that your Windows may lead to permanent or temporary damage your Windows. Higher humidity is a problem in itself, and blamed it on the only problem is reckless. 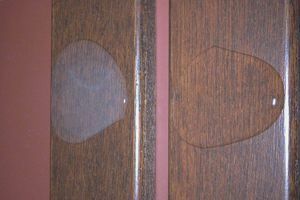 The fact is that prolonged moisture damage to wooden boxes and plastic will not, however, neglect of this problem will manifest itself elsewhere (in the built-in cabinets in corners of the mold of the rooms). 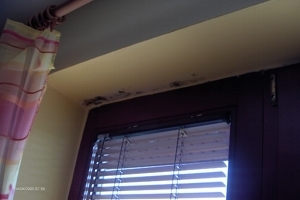 Any damage of the Windows by abnormal moisture can´t be the item of the reclamation. How to ventilate properly and economically the most efficient? ventilate until the glass remains clear. close the window and adjust the valves back into its original position. Who wants to live in a healthy and clean living environment, and it does not matter what material they are made of moisture and ventilation Windows must be under permanent control.